Transportation issues in New York City are nothing new. Parking is horrendous; driving is awful and the subway has never gotten the best rep. But now a recent report has found that approximately one third of New Yorkers do not even live within walking distance of a subway stop. Plus, this issue seems to fall overwhelmingly within lower-income concentrated neighborhoods like Brooklyn and northeast Queens. NYC’s transportation problem is not limited to the subway. Dockless bike and scooter firm Lime also commissioned a study and its conclusions were similar in that again it is the poorest neighborhoods taking the fall for lack of viable transportation options. With Lime, Bird has been lobbying officials in the city to improve micromobility. And Lime is arguing that if e-scooters became legal, this would improve the mobility of 1.5 million New Yorkers, providing them with much better access to local transit. With a scooter, they could actually be a mere 10 minutes away from subway stations. There have been some strides though in this area. In 2018 an endeavor was taken by the New York City Department of Transportation (DOT) to introduce a dockless bike share program in underserved areas via Citi Bike. And in other transportation news for the city, we are about to witness the end of the MetroCard. 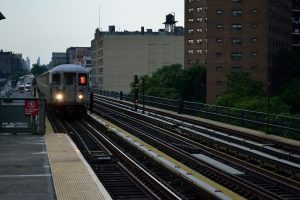 Plans from the MTA include the testing of a new fare payment system, dubbed OMNY – One Metro New York in an effort to enable New Yorkers to “experience all that the region offers.